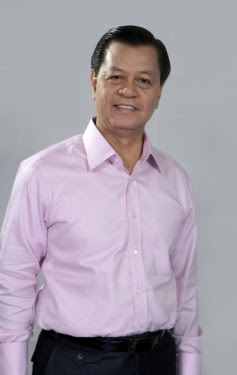 DZMM’s public affairs program “Kabayan” anchored by multi-awarded broadcast journalist ‘Kabayan’ Noli de Castro was named as a finalist at the prestigious 2012 New York Festivals (NYF) World’s Best Radio Programs. “Kabayan” was distinguished in the Best Public Affairs Program category and the lone Philippine radio program to succeed in the international competition. According to Nanette Baler-Quong, the program’s executive producer, the NYF recognized the episodes where Kabayan extended aid to overseas Filipino workers (OFW) caught in the war in Syria last January. She said “Kabayan” served as the link between the Department of Foreign Affairs and OFWs living in different parts of Syria, including OFW Gande Das whom Kabayan would talk to on air everyday to calm her down after she threatened to jump off her employer’s building so she could escape and come back to the Philippines. The Philippine embassy in Damascus had already repatriated Das and other OFWs. “Kabayan” is aired on Radyo Patrol 630 and DZMM TeleRadyo (SkyCable ch 26) on weekdays at 6:00 a.m.